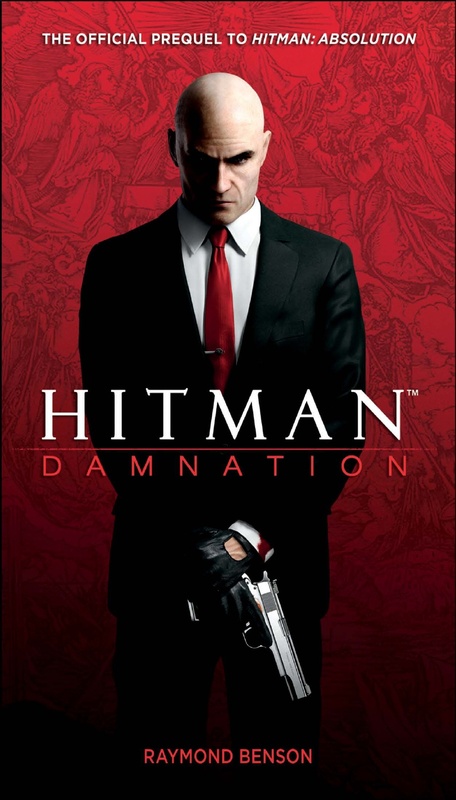 In my continued pursuit of video game-turned-movie-turned-novels, I found the second installment of the Hitman novel series titled Hitman: Damnation written by Raymond Benson. This book is billed as the prequel to the new video game Hitman: Absolution. For those not in the know, Hitman is a video game series based on secret covert missions developed by the Danish company IO Interactive. It would’ve been nice to see Timothy Oliphant’s image grace the cover, instead it’s a really bad CGI version of the hitman. In my mind, Oliphant will forever be Agent 47. I hope the powers-that-be will decide to make this novel into a movie with Oliphant reprising his role as Agent 47. Mmmm, a girl can wish can’t she?! Author Raymond Benson manages to continue the smooth, flowing writing style of the first novel Hitman: The Enemy Within written by William Dietz. Indeed there were times while reading when I had to look at the names of both authors to remind myself that this wasn’t one author writing both novels. When the world’s greatest assassin is left dangling on the edge, how does he escape a sure, eminent death? The story begins with Agent 47 in hot pursuit of his next target on the precarious edge of the Himalayan mountain when his handler Diana Burnwood does the unthinkable…cut all communication with him. Burnwood had always felt her most important job “was to keep Agent 47 alive.” So how then could she abandon him at the most inopportune time? Better yet, how could she betray the agency? I panicked. What’s going on here? On what level is this acceptable? Yet this is exactly the unpredictable nature of the world of assassins in which 47 has been embroiled. One minute the agency makes sure its assassins have all they need for a clean successful hit and the next they’re left to fend for themselves in the middle of nowhere with just their training and wiles. Such is the volatile nature of 47’s assignments throughout this novel. In this fast paced, gripping, and terrifying pager-turner of a tale, the reader is taken on a fantastic journey through the eyes of a man, a master assassin, who lacks the basic human emotions…or does he? In flashbacks we’re first introduced to a thirteen-year-old boy walking through the corridors of an empty asylum. Agent 47 should be scared but he isn’t. He’s more interested in finding out who’s chasing him and why he’s unable to see the pursuer’s face clearly. This is 47’s recurring nightmare. Phew! The worst is over, or is it? Agent 47 has the shakes, he’s addicted to oxycodone. This is bad. I expect at anytime he’ll fall off his game and get himself killed. The once smooth, flawless assassin is in deep trouble and somehow it’s not unusual to see Agent 47 grapple with turmoil. But in conquering his demons, will this make him a better person, a better assassin? Benson leaves just the right amount of clues to portend some major events. There was only one way to find out. In a non-intruding way, Benson reminds the reader that Agent 47 “was created in a Romanian mental asylum as a clone from the DNA of Dr. Otto Ort-Meyer and four other men.” Tagged with a barcode as his only identification and numbers for a name, 47 had been “trained from youth to kill efficiently.” So it’s no wonder that though he knows basic emotions and can emulate them, he thinks they are nothing but a waste of time. These thoughts are challenged when he meets kindred lost soul Helen McAdams. Suddenly human feelings begin to emerge and 47’s not sure how or why this is possible. Yet this new turn of events reveal he’s more human than he was made to believe and that there’s nothing intrinsically wrong with experiencing emotions. Though for 47, those emotions more than once threaten to get in the way of his assignment completion. This novel did not disappoint. At times the action was so intense I couldn’t turn the pages fast enough. Come to think of it, I’ve never read any of Benson’s novels before, but after reading Hitman: Damnation, I’m inclined to take a closer look at this author’s body of work. Never know what gems I may uncover and I might just be pleasantly surprised. I still want to know what happened between the first novel and this new one but I can’t say that I’m one bit disappointed with this tale. At some point I thought the master assassin was a goner for sure. Will he find Burnwood in time to learn exactly what happened? Can he forgive her for abusing his trust? As Agent 47 is used to a world filled with lies, deceit and denial, at the moment he’s too pre-occupied with his dangerous high profile assignments to unravel the duplicitous web that threatens to suffocate him. But the reader is thrilled 47 has pulled himself together and activated his ever-present, unparalleled reasoning skills and desperately hopes that he’ll figure it all out before the noose gets any tighter. Because when he does, there is going to be hell to pay! This entry was posted in Books and tagged action/adventure, DRAMA, FANTASY, hit man damnation, novel, raymond benson, video game. Bookmark the permalink. This books sounds like a great expansion to the Hitman cannon. I’ve played the games since they first started and I am definitely going to give the books a read if they can expand on any insight we get of Agent 47’s emotional state. great post!